1. Enable and set IP address on Lan interface for each router to be the last assignable IP address in its own subnet. 3. 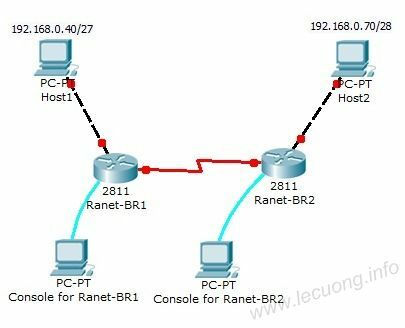 Enable and set IP address on interface s0/0/0 on Ranet-BR2 to be the last assignable IP in the same network. Don’t forget to set clock rate at 64 kbps due to this is the DCE.